Looking down on the open knee joint from above you can see the medial and lateral menisci on the articular surface of the tibia. The C shaped menisci are flattened fibrocartilaginous discs that help to cushion the knee joint and assist in rotation. 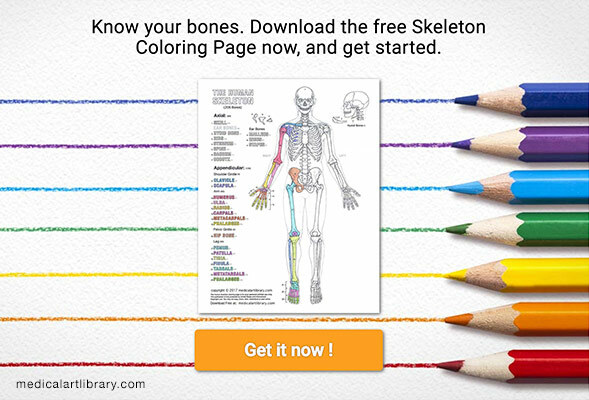 They are attached to the tibial condyles by their outer edges which are thicker than the center giving them a wedge like shape and slightly deepening the joint cavity. 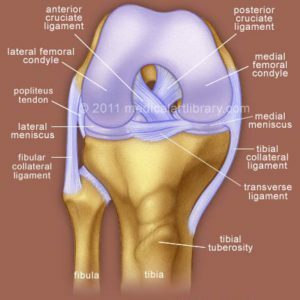 The medial meniscus is most commonly injured, particularly where the tibial collateral ligament attaches to it. 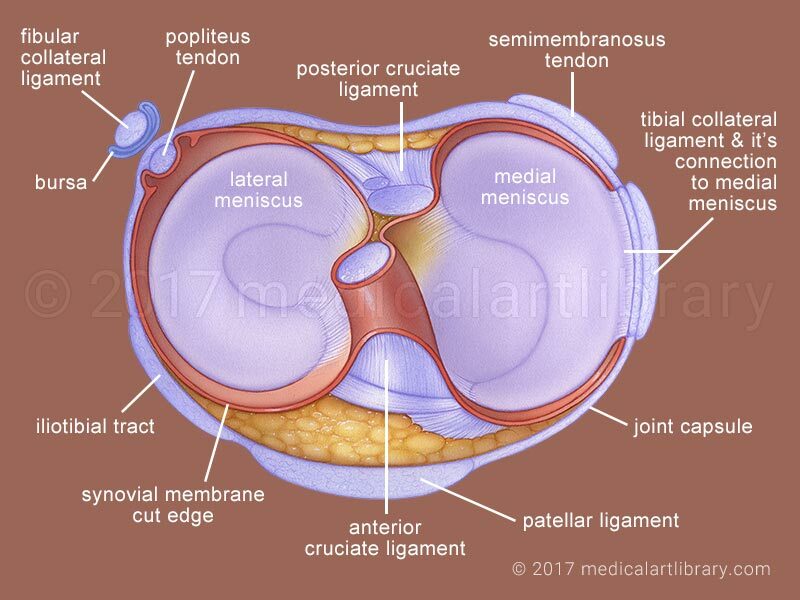 The anterior and posterior cruciate ligaments, located in the center of the knee joint, stabilize the joint and help to prevent forward or backward sliding of the tibia as well as prevent hyperflexion (bending) and hyperextension (straightening) of the leg. 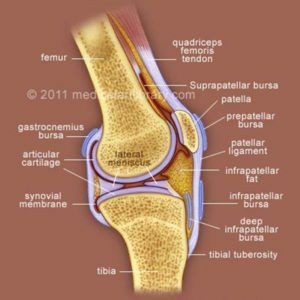 The patellar ligament helps to support the front of the knee joint.